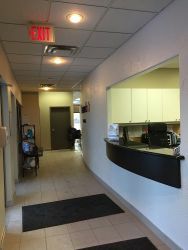 We are located in downtown Oakville at the corner of Brant Street and Lakeshore Road West. We have free parking located behind our facility. 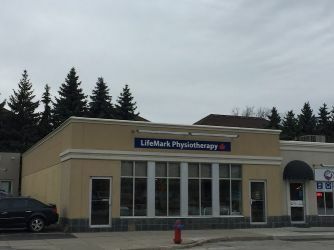 Lifemark Physiotherapy Lakeshore is a multidisciplinary physiotherapy and rehab clinic in Oakville that employs a holistic approach to provide compassionate care for our patients. 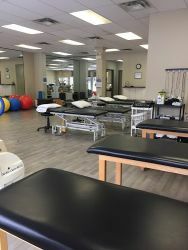 In addition to physiotherapy and massage, our clinicians offer many specialized programs including cancer care, cardiac rehabilitation, concussion, dizziness and balance (vestibular/vertigo) and pelvic physiotherapy. 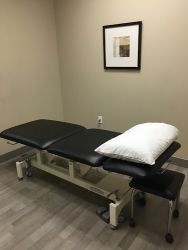 We use several modalities including acupuncture, ultrasound, muscle stimulation, TENS and interferential therapy. 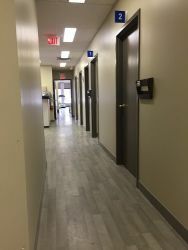 We treat MVA, WSIB and private patients. 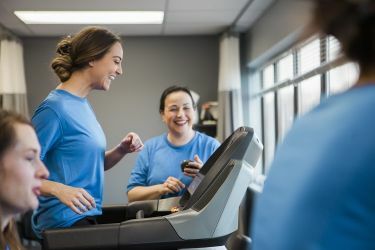 Our facility provides 8 private treatment rooms and an open gym area which is used for physiotherapy treatment as well as an area to exercise. 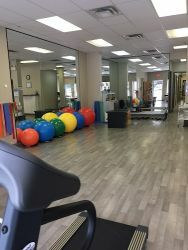 We have various exercise equipment including a recumbent and upright bike, treadmill and various sizes of free weights and stability balls. 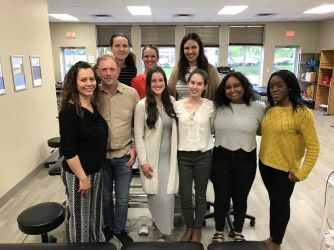 We have 10 full time staff members at our Oakville location, including three physiotherapists, three registered massage therapists, two kinesiologists, an office manager and customer service representative.